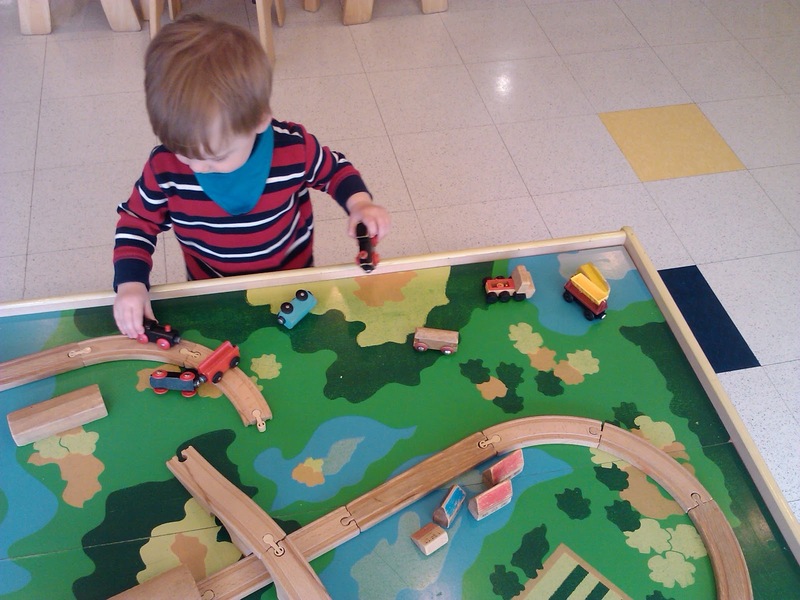 Mount Pleasant Family Centre's train table. Sprout's new favourite book is The Airplane Ride, about a little boy from Vancouver who flies across Canada with his parents. He has finally got the hang of regular sippy cups, which is a boon to us, as the take & toss variety that we've bought a few of are much easier to clean than the straws & valves & sliding lids of the Playtex straw cups. Also less of a worry if we lose one on the road, as they're $5 for four. Kiddo's loving the apples this week & keeweets are also a big hit. Walking continues to excite Sprout & though he loves stroller rides, he'll often demand to walk instead. 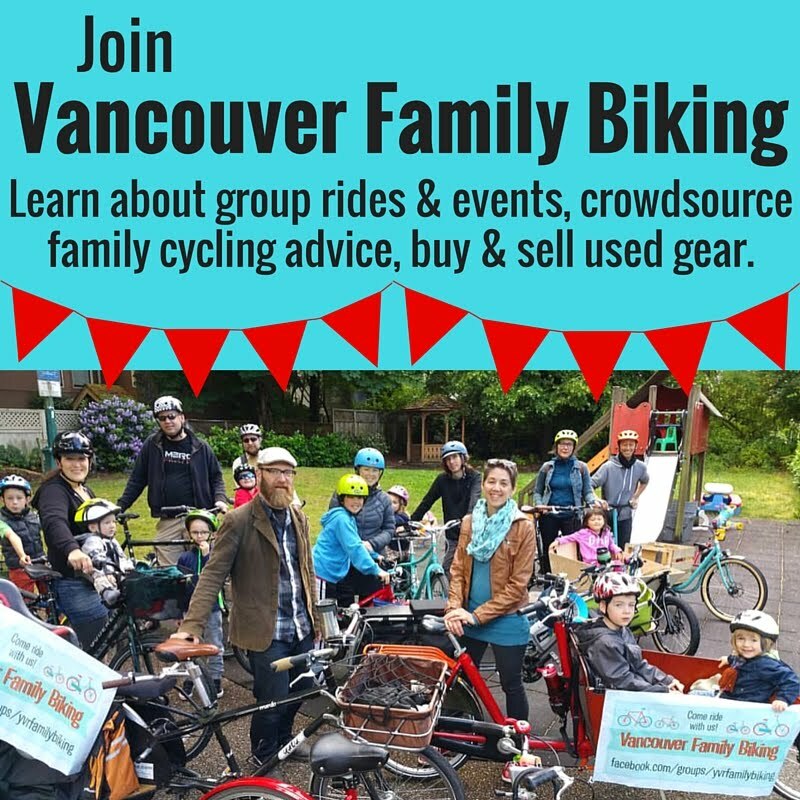 Biking continues to outrank both walking & stroller riding, however. Here's a short video of Sprout doing some window shopping on Main Street recently.